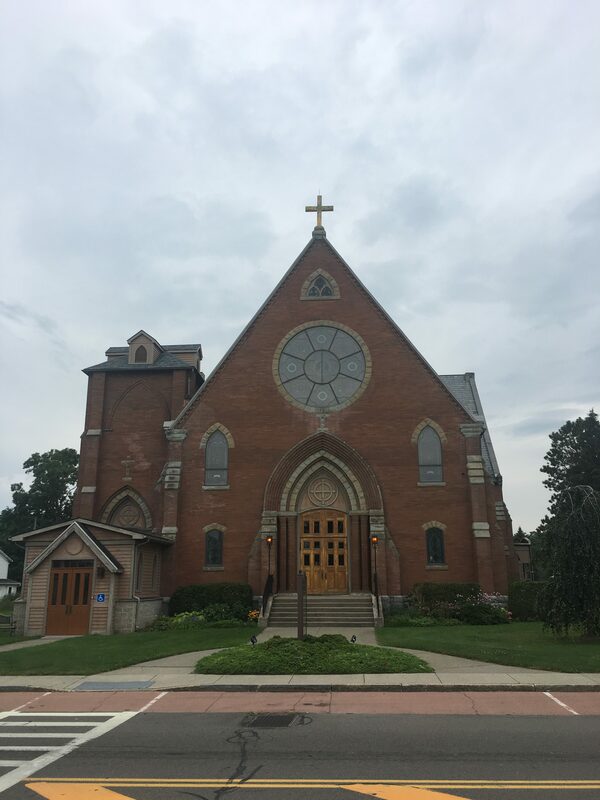 The current church is the second church in the village of Penn Yan to bear the tile of Saint Michael’s originally located on Pine street (which is now known as Keuka street) on land donated to the new parish by Abraham Wagner. The early parish was lead by Father Michael Gilbride who dedicated the parish to his own patron saint, the Archangel Michael. 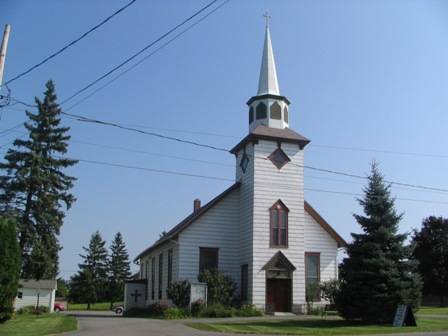 That church would exist from 1850 until 1902. 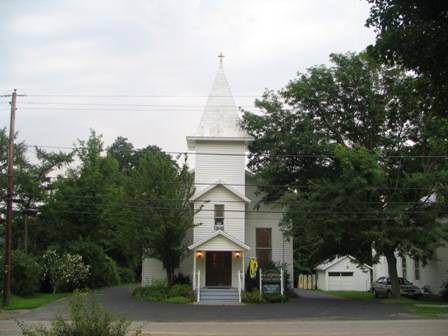 A unique fact is that the parish here at Saint Michael’s predates the Diocese of Rochester by eighteen years. The current structure was built in the early years of twentieth century to accommodate the growing Catholic population. It was rededicated to the Archangel Michael by Bishop Bernard John McQuaid, the first bishop of the fledgling Diocese of Rochester. 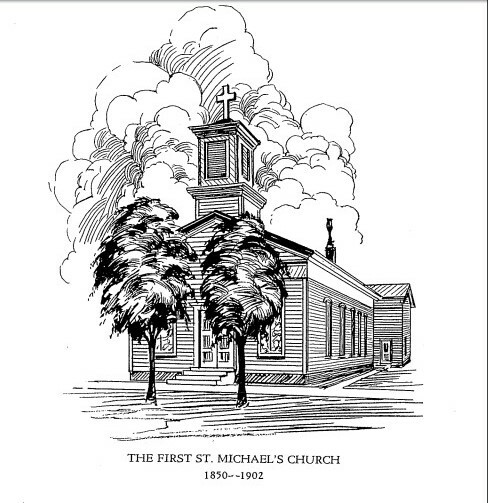 Since 1950, St. Michael’s parish has seen much growth and many changes. Certainly, all of our churches experienced the changes from the Second Vatican Council. 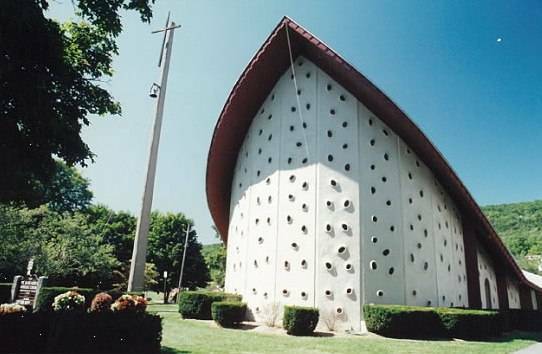 During the 1980s Rev. William Michatek initiated further innovations, with the goal of more fully including parishioners in the Celebration of the Eucharist. He removed the altar rail that distanced the congregation from the altar. The interior of the Church was renovated, replacing with slim columns the large pillars that had obstructed the vision of those attending Mass. Pews were reconfigured to make it easier for parishioners to sit in a semi-circle around the altar. In the 1990s, under the co-pastorates of Rev. Peter Deckman and Rev. Charles Mulligan our parish more fully included St. Andrew’s Parish in Dundee, the Newman Community of Keuka College, and Our Lady of Guadalupe Hispanic Community as full-fledged partners.For the 100th anniversary of St. Michael’s in 1950, a complete history up until 1950 was written called St. Michael’s Church: One Hundred Years of Catholicism in Penn Yan, New York (made available here in two parts: Part 1 & Part 2). 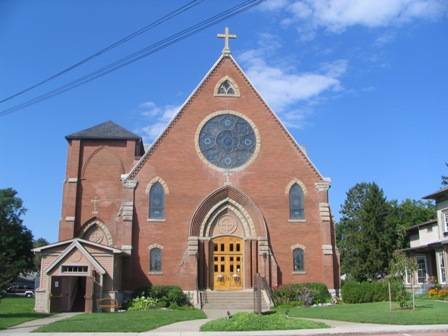 In 1998, in response to a shortage of priests in our diocese, St. Michael’s Church joined with St. Andrew’s of Dundee, Keuka College Newman Community, St. Theresa’s of Stanley, St. Mary’s of Rushville, St. Januarius’ of Naples, St. Patrick’s of Prattsburgh, and Our Lady of Guadalupe Community to form the Our Lady of the Lakes Catholic Community. If you read the history of the first 100 years of St. Michael’s, then you know we also have a parish school called St. Michael’s. 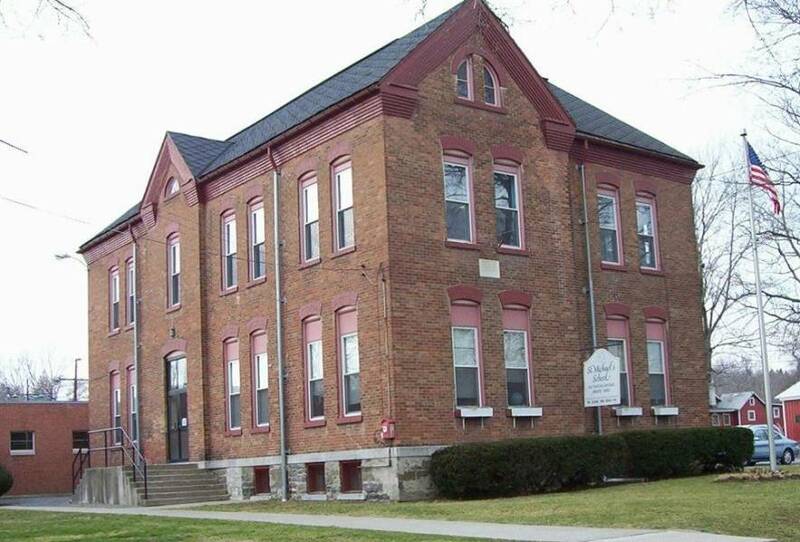 The school opened in 1882 and was served for many years by the Sisters of St. Joseph. Originally, the school and convent were all contained in one building. 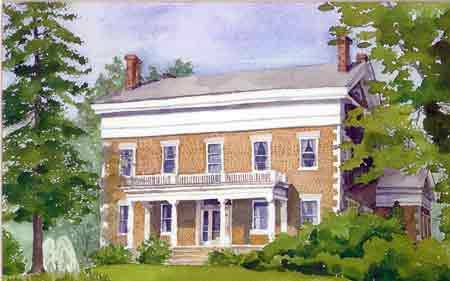 For many years, the school consisted of eight grades. Today, it provides pre-K through fifth grade. The patron saint here is St. Michael, the archangel. Of course, his feast day is September 29th with Gabriel and Raphael the other archangels, Here are three sites to read about him.